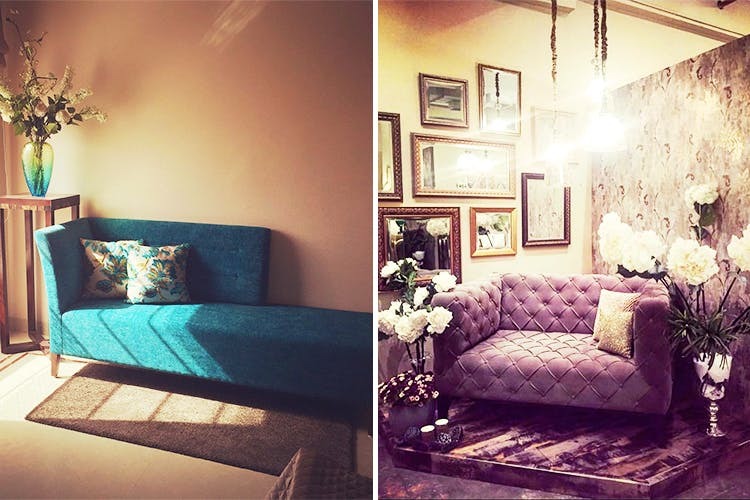 Delhi has been obsessed with its furniture market at Amar Colony, known for its old-school furniture, but guess what? We have something better in store for you at Gurugram. YES! If you love all things vintage, you will for sure love Crosspoint Mall’s The Design Story by Natasha Singh too. The Design Story is one of the leading stores in the furnishing and home decor industry. Not only have they carved a niche for themselves, they have proved their worth with new and innovative designs time and again. If you’re planning to design your new home or want to renovate your existing house, you know the struggles are real when you have find an interior decorator and a furniture maker. But here, at The Design Story, you get it all at one place and that too at affordable prices. They take care of your needs and customize all designs according to your requirements. Worth a shot, right? Brain child of Natasha Singh, this store will make your house, a home. Why? Because everything is created and manufactured at their own avant-garde studio by more than 40 talented craftsmen. If you are vintage lover, go check out this store now. From furniture to lighting fixtures to floor designs to wall finishes and even flower arrangements – The Design Story will weave a beautiful tale for your house that you won’t stop talking about, ever. So are you ready to build your dream house?